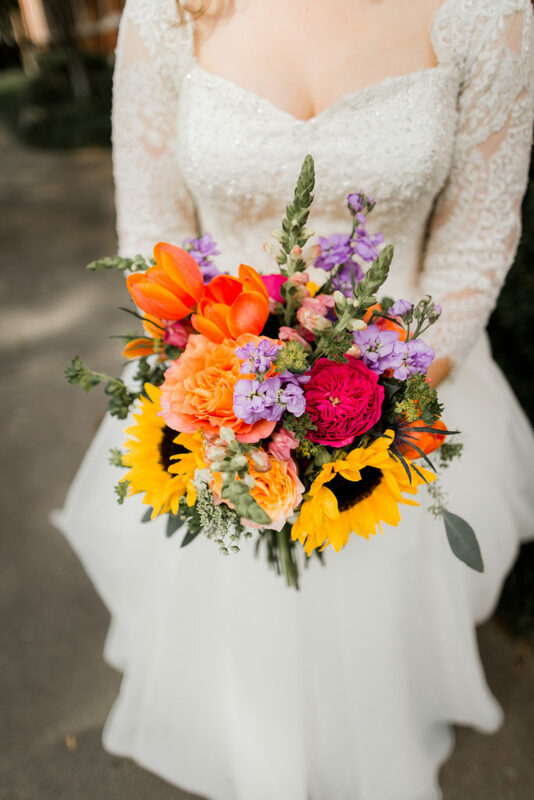 During your initial consultation, it’s important to be candid with your BLOOM Bridal Consultant about your desired floral budget. A good rule of thumb when planning is to designate at least 10% of your wedding budget for floral décor. However, if you hope to incorporate more elaborate arrangements and décor into both your ceremony AND reception, you should plan to reserve approximately 15-20%. 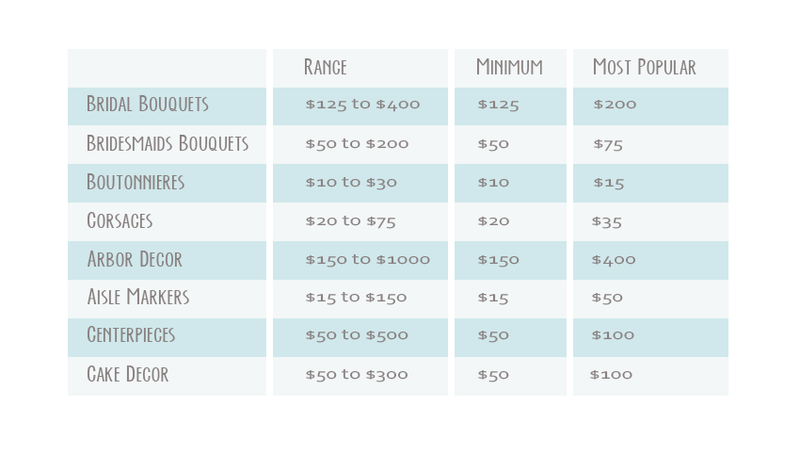 While each wedding is unique and we cannot give exact pricing until we have the opportunity to sit down with you to discuss your vision, here is some general pricing information to give you a starting point.